Books about books are some of my favorite reads, and this compilation by Sally Allen is no different. 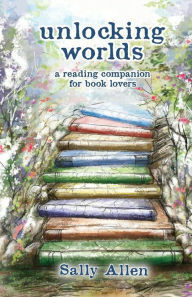 Unlocking Worlds: A Reading Companion for Book Lovers is a must for those who spend their days at the library and have their E-readers well stocked with the latest finds. This is the perfect selection to peruse while you’re reading other books on the side. It’s organized such that you don’t even have to start at the beginning – you can just page through and see what interests you that day. The author’s recommendations are broken into topic lists such as “Novels & Memoirs About the Reading Life” and “Novels About the American Experience.” What I liked most about Allen’s work is that she doesn’t pigeonhole. For example, Lauren Oliver’s Before I Fall is classified as young adult novel, but it’s in the “Novels That Play With Time & Space” list. One only needs to look to the Twilight, Harry Potter, and Hunger Games series to know that grown adults read “young adult” a lot. Unlocking Worlds isn’t all lists, however. 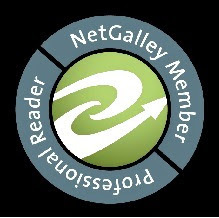 Allen also includes well-written chapters about the joy of reading itself, such as “Let Reading Change You” and “The Reader and Her Book.” But literary lovers will adore the book as a whole and maybe even get some new recommendations for their TBR list.